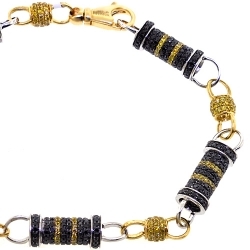 Mens Black Diamond Bullet Bracelet 14K Two Tone Gold 8.29 ct 9.25"
Wrap your wrist in breathtaking luxury with our diamond bullet bracelet! 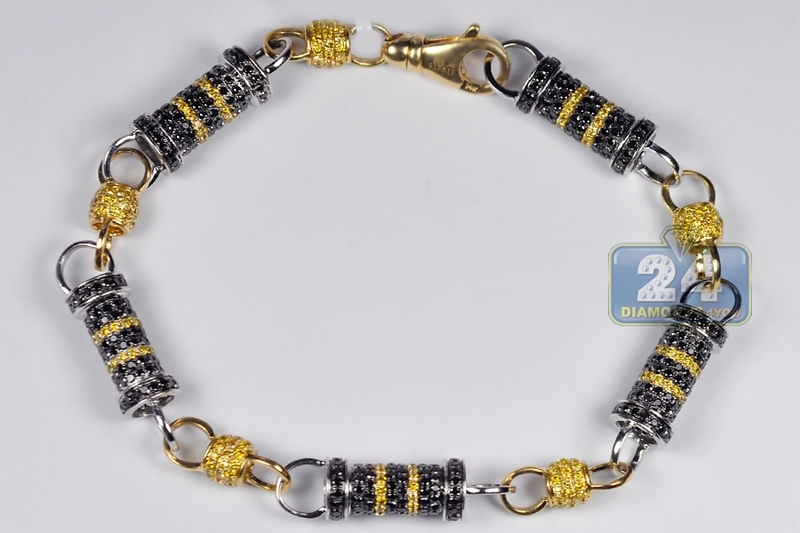 Professionally produced from 14k gold of yellow and white colors, it's studded with enhanced black and enhanced yellow round brilliant-cut genuine diamonds, all weighting 8.29 carats. 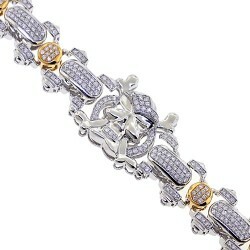 The piece features 8 mm in width, 9.25 inches in length, and closed with user-friendly lobster claw clasp. 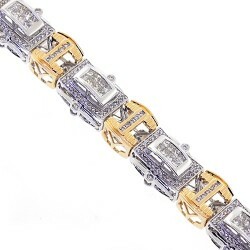 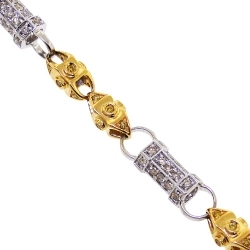 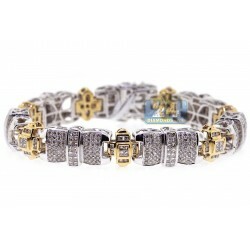 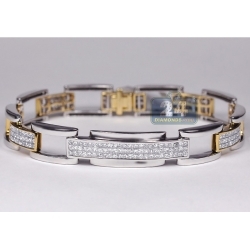 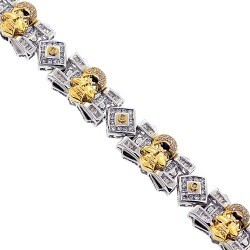 This men's diamond bracelet will glisten with your every move!